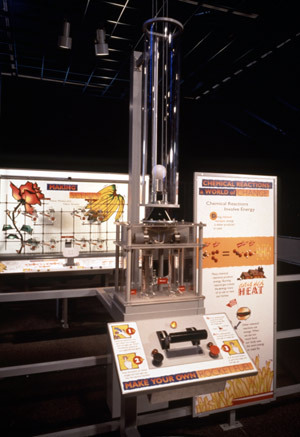 The high-tech character of this exhibit was playfully contrasted by the colorful illustrations and graphics. I created most of the images by redrawing old clip-art illustrations. 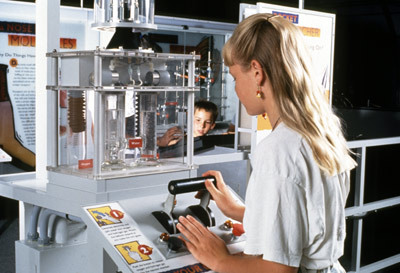 "Rocket fuel" interactive station. Large back-lit graphics are in the background. 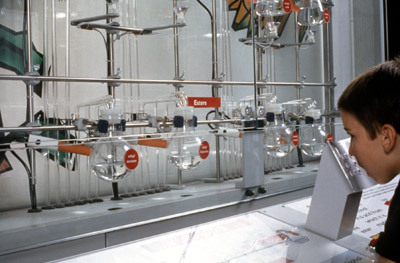 Visitors try to guess particular smells in this area of the exhibit. Guessing that smell, good or bad. 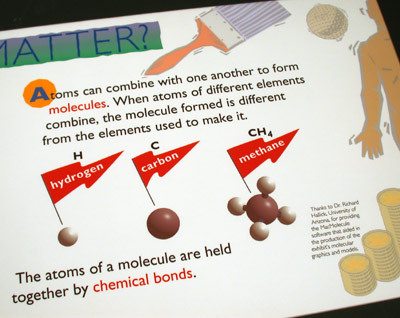 Molecules in Motion. 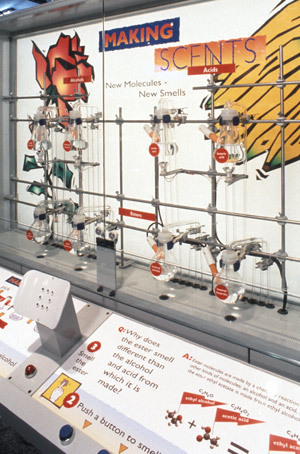 An exhibit on Chemistry for the science museum in Los Angeles. I managed the graphic component for the exhibit design team at West Office Exhibition Design. I also created the original illustrations for the graphic panels. Photos: Mark Schwartz, courtesy of WOED.